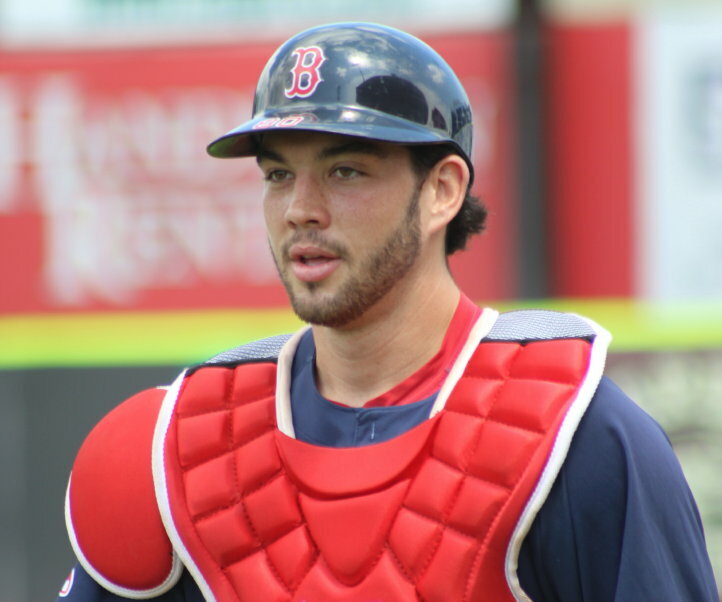 Blake Swihart was the Portland catcher today. How much longer? 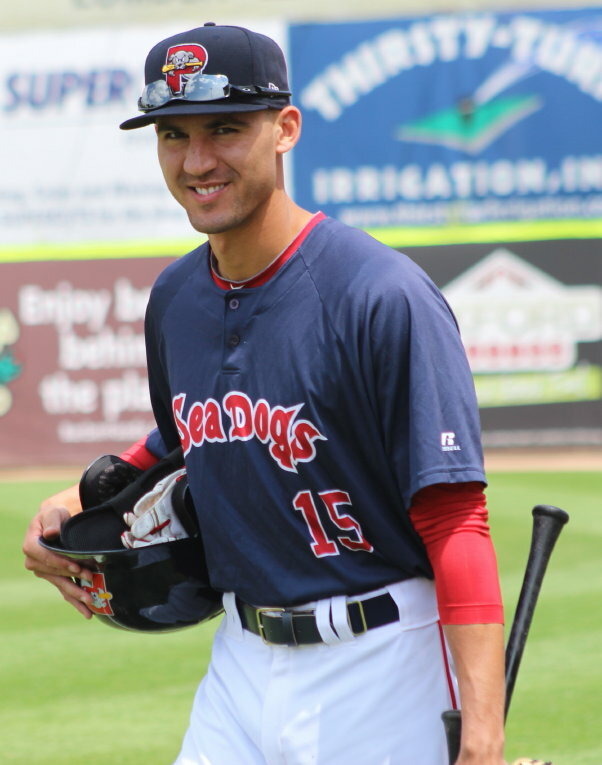 (Portland ME) The Portland Sea Dogs are playing so well that when you arrive at Hadlock Field and find a player missing you assume that there has been a promotion to AAA Pawtucket. 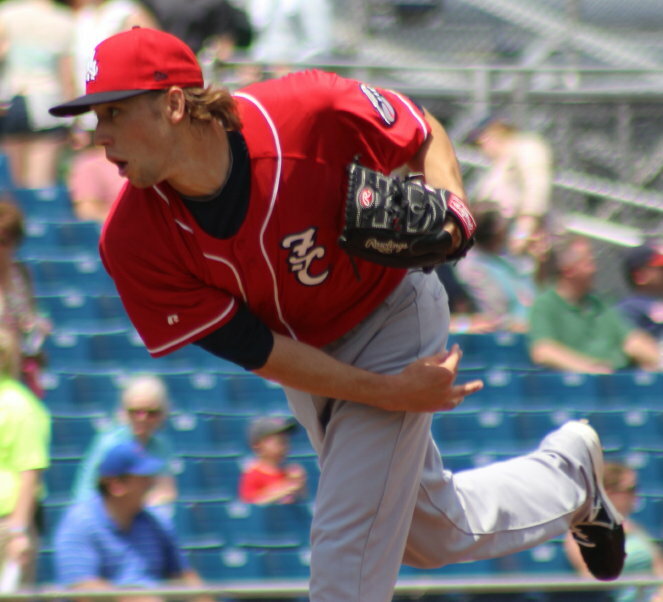 Henry Owens and Sean Coyle were absent from the Sea Dogs, 6-2, win over the New Hampshire Fisher Cats on Monday afternoon. No promotions (yet) for either of them. They had been participants in the All-Star Futures Game on Sunday afternoon in Minneapolis. Why Henry hasn’t moved up is a mystery to this reporter. 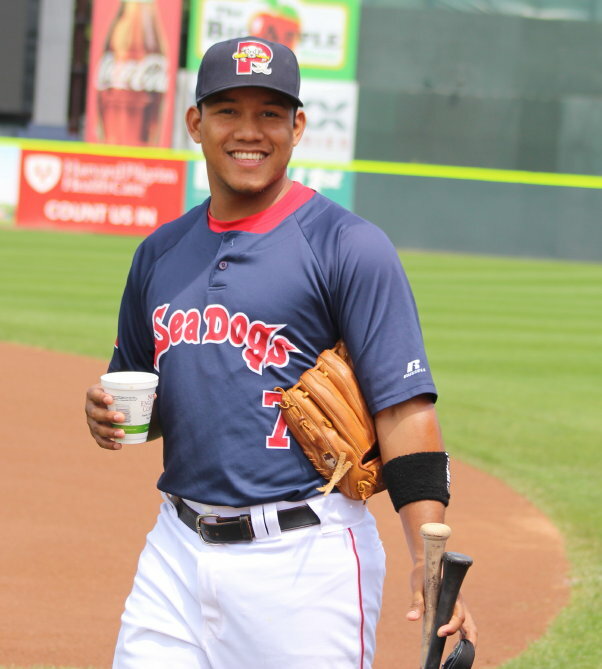 The 21-year-old lefty has statistically dominated the Eastern League so far in 2014. Henry tops the EL in wins (12), strikeouts (111), ERA (2.21) and WHIP (1.03). 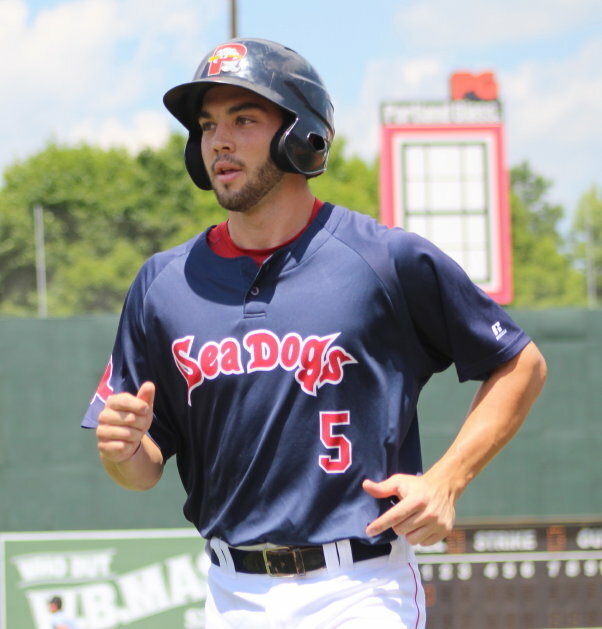 The Sea Dogs (63-34) have the best record in the Eastern League. The Binghamton Mets, however, are just 4 1/2 games behind in the Eastern Division of the EL. 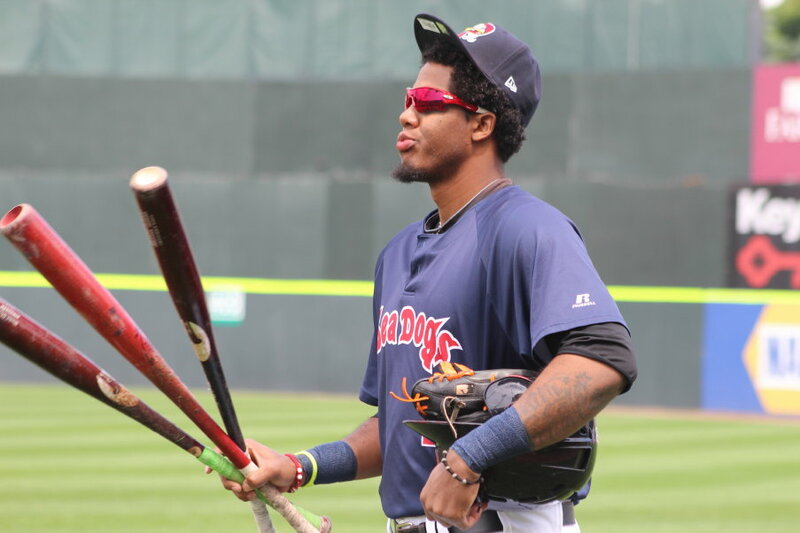 The Sea Dogs dropped four straight in Binghamton this month so the race for the top spot in the EL could become very interesting the rest of the way. And if Henry gets promoted, as well as Sean Coyle and catcher Blake Swihart, that top spot would be even harder to hold onto. But on Monday Blake was on hand and Henry and Sean were due back when the EL season resumes on Thursday. 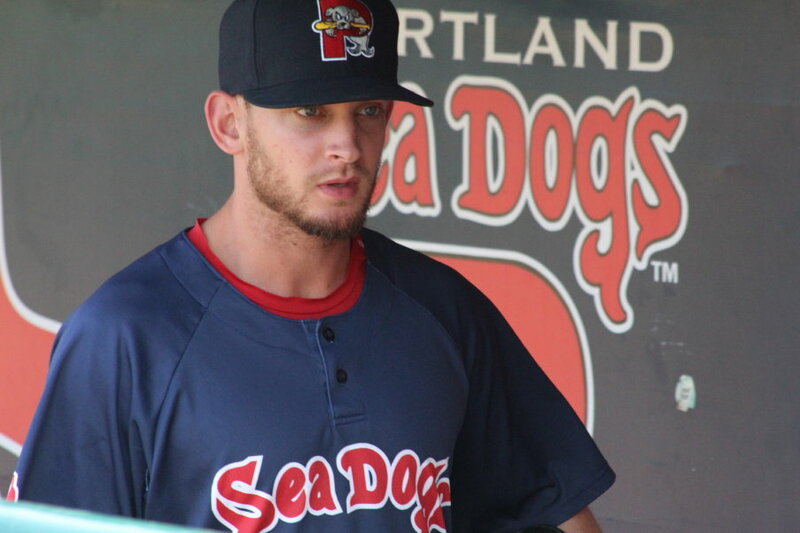 Portland did promote a catcher to Pawtucket but this time it was reserve Matt Spring. 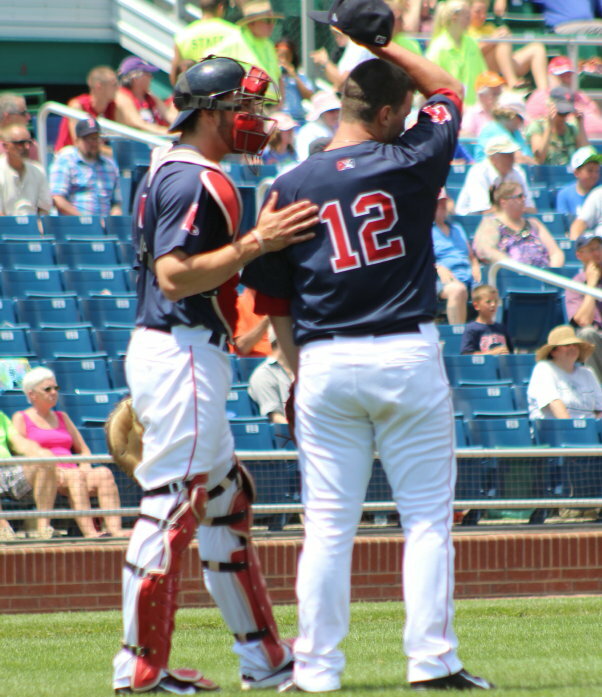 They also brought a new catcher in from the Lowell Spinners, Danny Bethea. 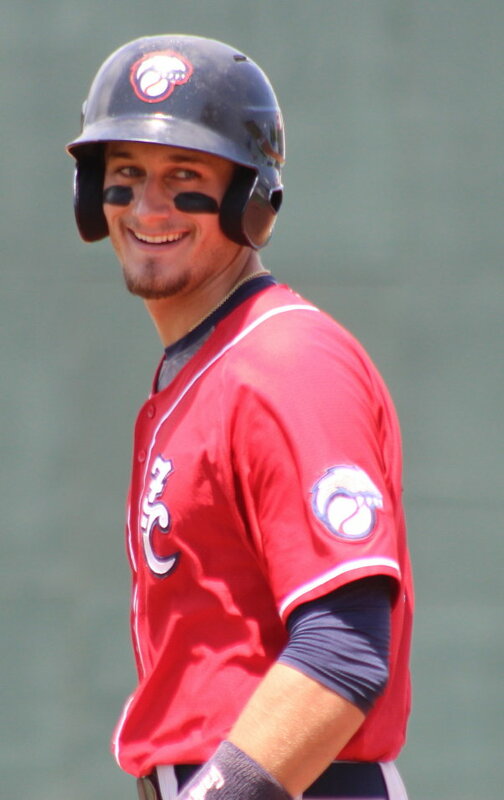 Danny got his first at-bats at the AA level versus New Hampshire (Toronto Blue Jays affiliate) and picked up an RBI in his first at-bat. That RBI came on a slow dribbler down the first baseline that NH starter Casey Lawrence opted to go to first with allowing Jonathan Roof to score. 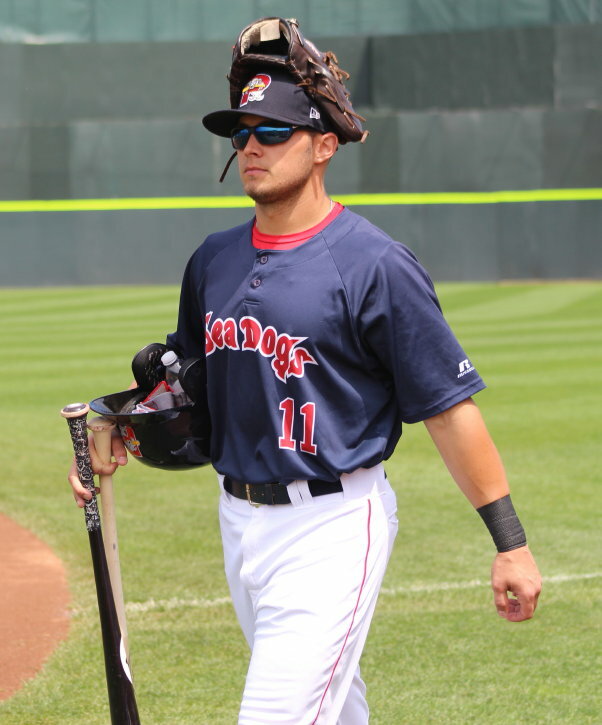 Portland starter Mike Augliera gave up his tenth homer of the season to Andy Fermin but benefited from a matching homer from teammate Heiker Meneses. Mike is now 4-8 and hadn’t won a game in nearly two month. 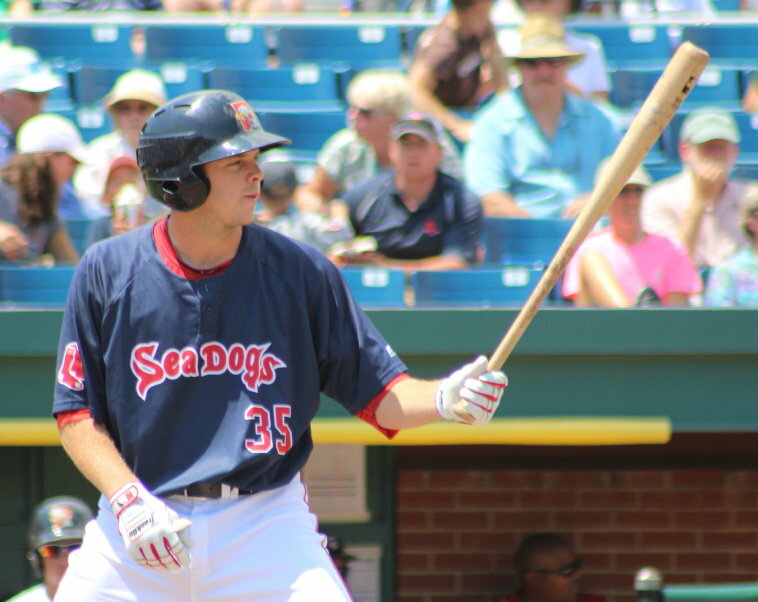 Part of the Sea Dogs’ success this season has been the way they have dominated the Cats from New Hampshire. With today’s win the season record favors Portland 10-4. 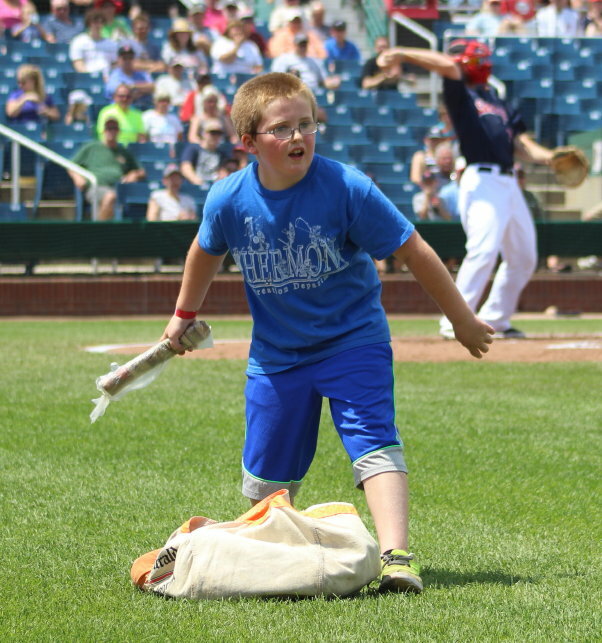 It was Campers’ Day at Hadlock and the camps each had their own tee-shirts. On a hot afternoon (the game started at noon) there was plenty of action at the concessions stands. 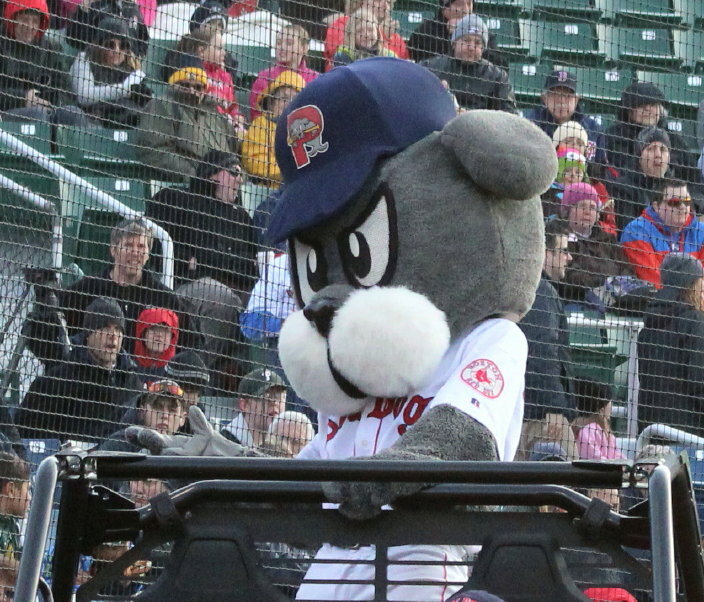 Slugger has spent the season riding on a jeep instead of working on his base running. 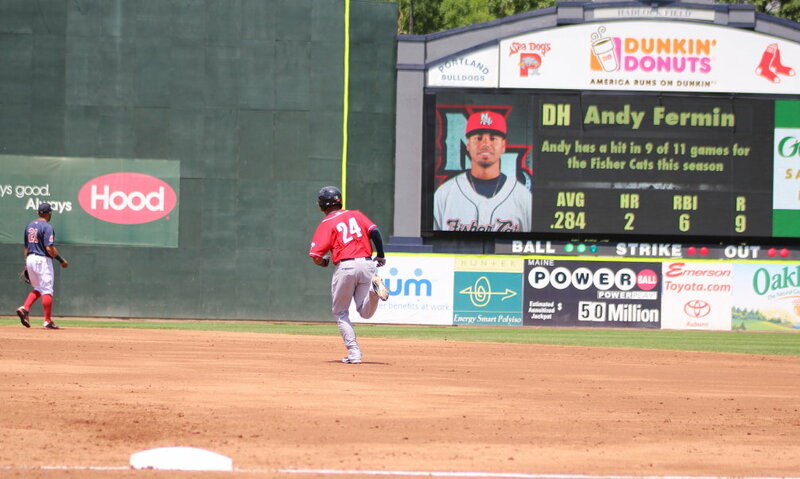 It was another sorry day for Slugger in his season-long quest to beat someone (anyone) on the race around the bases. For some reason Slugger’s opponent always gets a half-base lead. That seems unfair since Slugger hasn’t won yet this year! In today’s race Slugger was matched up against a girl. This kid was small but fast but Slugger is big and fast and crossed second base with the lead. Then for some unknown reason the Sea Dogs mascot decided to head out between first and second for a brief chat with an umpire. I ask you, what would they have to talk about at this point? But Slugger still had a chance because as he got to first the little girl was just getting to third….this race was even. But what happened next, is worthy of a full-blown investigation. 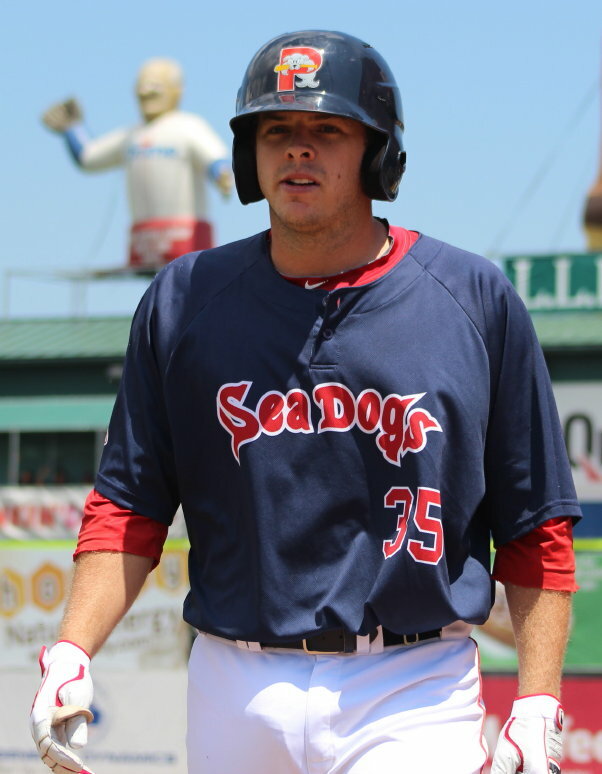 A Sea Dogs’ staff member, standing at first base, offered Slugger a drink of water. I now believe that the staff member and the little girl are related. Of course, Slugger stops for the drink instead of taking it on the fly. When the mascot resumes running the little girl is home the winner. Very disappointing. I’ve seen Slugger lose after falling over second base, but losing because of time wasted chatting and drinking is unacceptable. I would recommend that he spend some pre-game time running the bases instead of riding around recklessly on the back of a jeep! 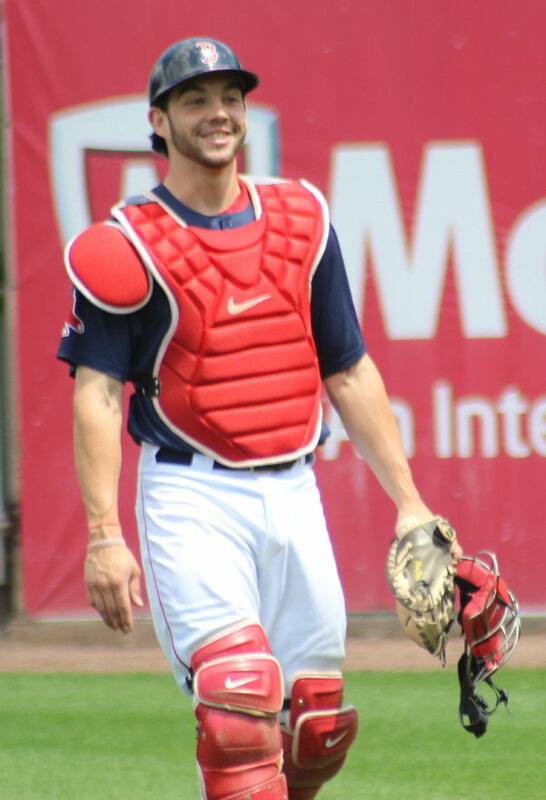 Prime photo target for me at Hadlock was catcher Blake Swihart. I suspect that his days with Portland are numbered. 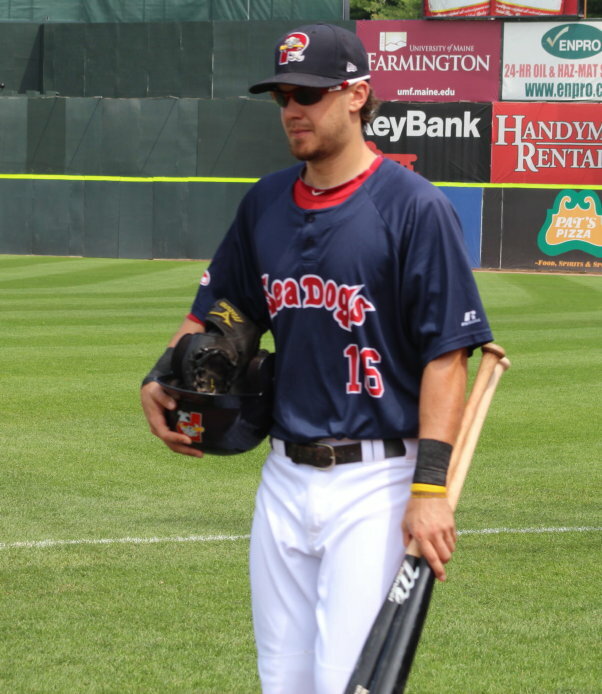 Blake was a first-round compensation pick for Boston in 2011 after the Red Sox lost Adrian Beltre. 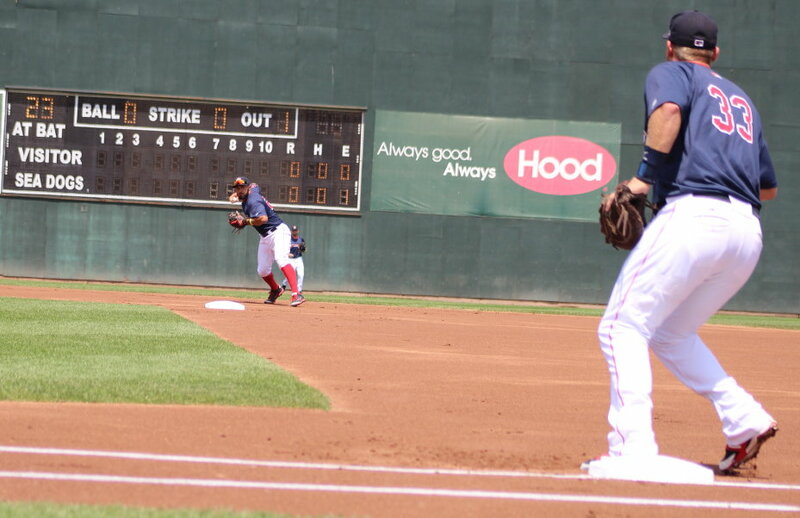 In today’s win Blake caught a NH runner trying to steal. The 22-year-old has 10 homers and 48 RBI. I was part of a good crowd (6,552) enjoying the game. 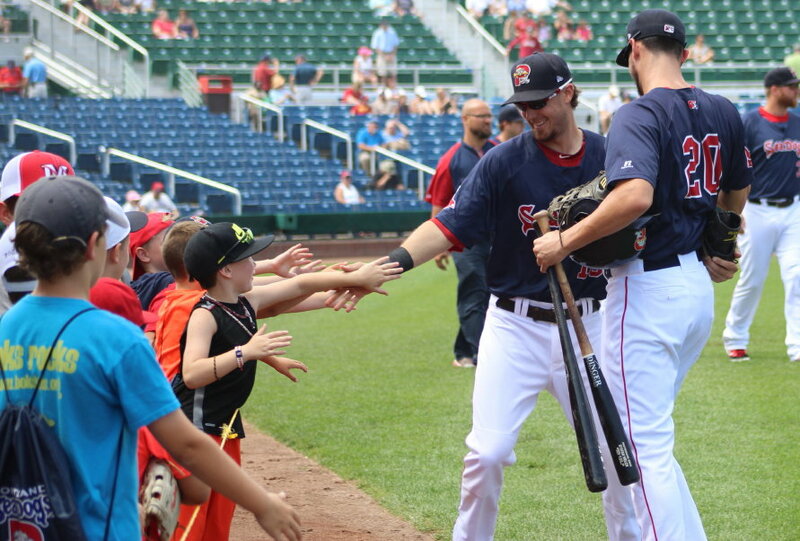 Portland games are affordable and offer glimpses of future Red Sox players. Think Mookie Betts! Thanks to Chris Cameron for setting me up to see the game.